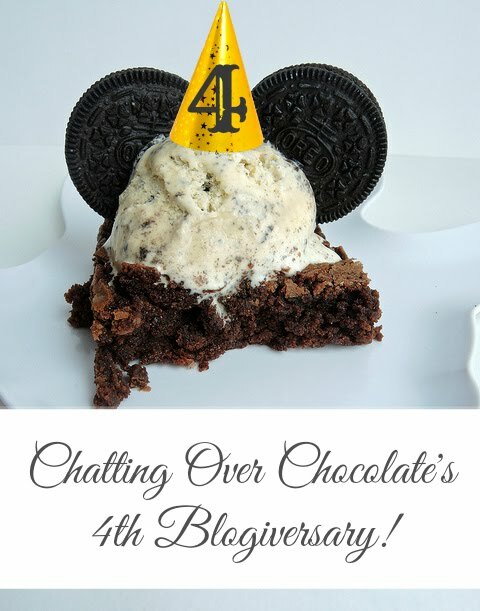 Chatting Over Chocolate: Chatting Over Chocolate's 4th Blogiversary! 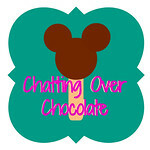 Chatting Over Chocolate's 4th Blogiversary! Hello, sweet friends and cherished readers! Today marks four years since I hit publish on my first post here at Chatting Over Chocolate! I'm writing this one with a smile on my face, a heart overflowing with gratitude, and a wish that I had a slice of that ice cream topped chocolate delightfulness to literally hand each of you as we chat about what a special day this is! I want to take this opportunity to personally thank you for taking time out of your day, today and each time you pop by my blog, to read what I have to share! For those who take the extra moment to leave me a blog comment, please know that hearing from you is a true treat! I began this blog on a whim, hoping it would be a fun creative outlet, yet never knowing if anyone would read a single word I shared. My heart is full thinking that all these years later I'm still here and that you are joining me here today! I may take a refreshing hiatus away from the computer every now and then (typically a summer break to focus all of my attention on my growing-up-way-too-fast girls), but I always find myself with the urge to return! Blogging is a hobby for me and I've said in the past that as soon as it's not fun anymore I'll walk away. YOU, dear readers, are the ones who make this such a fun place to be! If it were not for your visits I'd be chatting with myself and that's not nearly as fun! The fantastic friendships I've made with those in the blogging community (fellow bloggers and readers alike) have made life so much richer and sweeter! So, thank you, yes, YOU, for being here! You are always welcome here and appreciated more than you now! Now to the giveaway details! 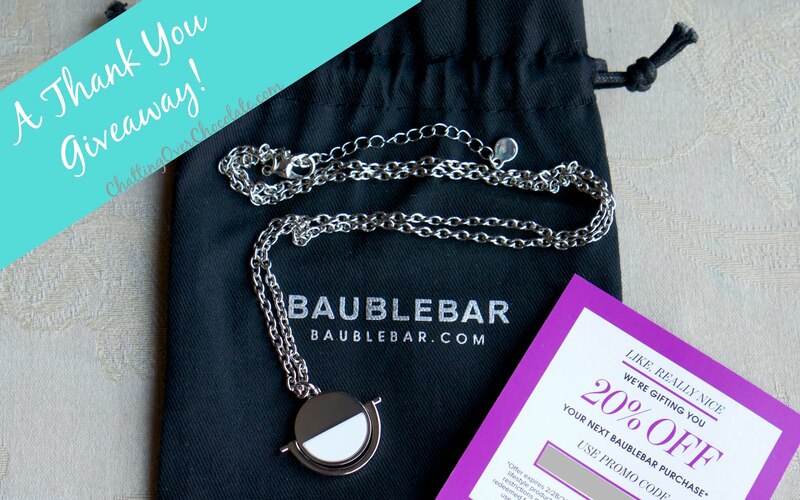 I'm giving away one Baublebar Snowfall Pendant (a POPSUGAR exclusive design) with baublebar bag, and unique coupon code for 20% off a baublebar purchase (should there be another pretty there you've had your eye on). This giveaway is open to United States residents. A winner will be chosen at random a week from this post's publishing date. The winner must respond within 48 hours or a new winner will be chosen. Enter below! I'm rooting for you, friend! Love this!! Happy Blogiversary!!! Will enter when I'm home later today!! Thanks for the opportunity!! Congrats on 4 years! I really enjoy your blog! SOOO glad I found this blog on a whim! You're the best, sweetest friend! Wow! Congratulations on four years! I love reading your blog and seeing your Disney adventures! Congrats on 4 years, Brenda! Time flies when you are having fun! :) Love your blog and I look forward to seeing what 2017 has in store for you! Happy Blogiversary, Brenda!! That is so exciting! You have been such a sweet bloggy friend to me over the years. Love your Disney recap posts (which means you need to keep going to Disney...give the people what they want!). :) Can't wait to see what you share in 2017! Happy 4 years, friend!!! Your blog is such a happy and uplifting place:) Thanks for having this awesome giveaway! Our blogs have forever changed my life because that's how I met you! I know we've talked about this before, but so, so glad that have become great friends! Happy blogiversary! !